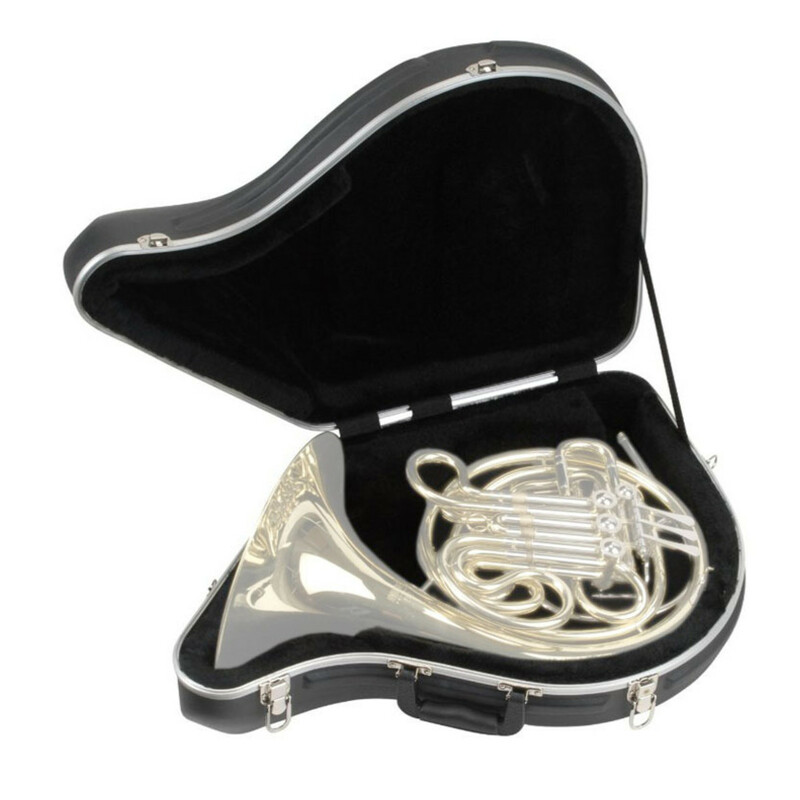 The SKB French Horn Case is a highly-durable contoured transport case designed to fit single and double horns. The case has been designed to ensure maximum protection and to keep your instrument secure at all times. It features durable black hardware with an ergonomic handle for easy transportation. The interior features a plush lining to combat superficial damage plus a compartment for storing accessories. 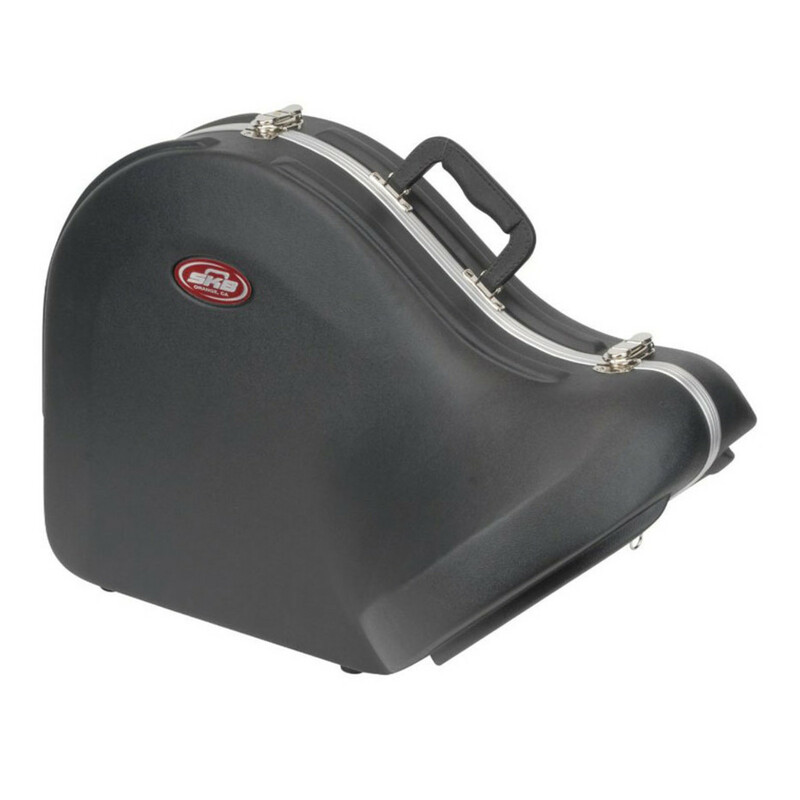 This case from SKB has been designed to offer maximum protection for your instrument. The case itself is hardware reinforced with backplates plus it features perfect fit valances for maximum durability and protection. The exterior features black hardware with an ergonomic handle for ease of transportation. The interior features a plush lining to ensure that your instrument is kept secure and stable at all times, whilst combating against any superficial damage. With its ergonomic design and durable construction, this case is ideal for the travelling saxophone player.